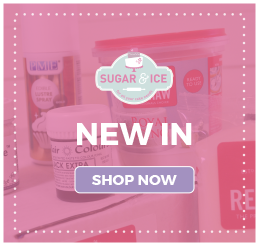 At Sugar & Ice you can pick up one of the markets most popular brands of icing in more colour options than that of a rainbow! And just in case you can’t find the colour you’re looking for, we have a full range of edible colours, paints and sprays too. We pride ourselves on providing ingredients for everyone, this means that if you only decorate cakes once a year for that special occasion we have smaller quantities, or if you’re a cake decorator yourself you can purchase large quantities of buttercream, icing and even readymade cakes! Alongside all of this we also well a range of different coloured candy melts, tempering chocolates, edible sprinkles and glitters, cake lace and much more. If you love baking, decorating or even eating cakes we have a full range of cake equipment to help you do so. 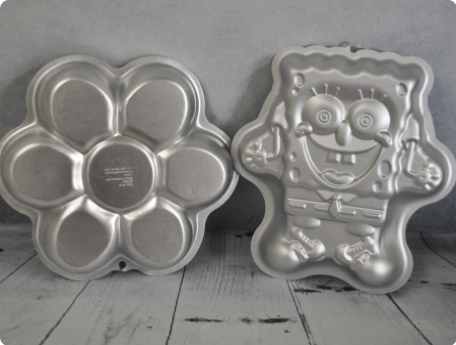 We stock a variety of shapes and sized tins and moulds (and if you don’t want to invest in your own you can hire tins, moulds, stands and more from us too!). From ribbons to candles to confetti, Sugar & Ice stocks everything you could require to decorate your cakes to perfection! 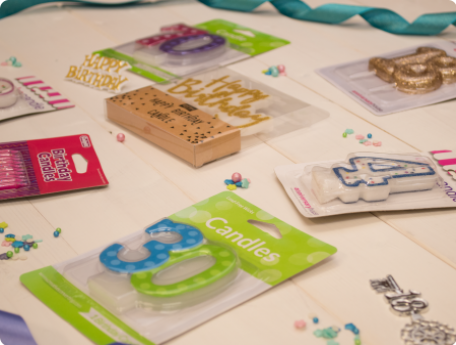 With cake toppers ranging from diamantes to dogs to designer handbags, there’s not much we don’t have in store. And the great thing about our stores, if you can’t find what you’re looking for we’ll be happy to source items for you or come up with great alternatives to make your cakes as wonderful as the celebration! 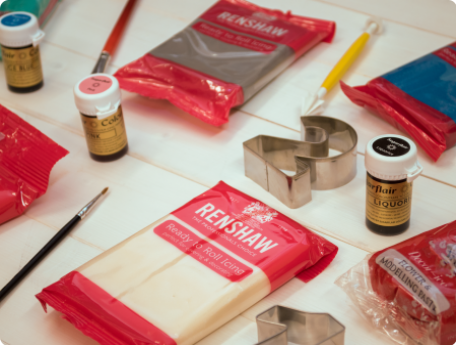 Does someone special love cake decorating but you’re not sure what equipment they already have? 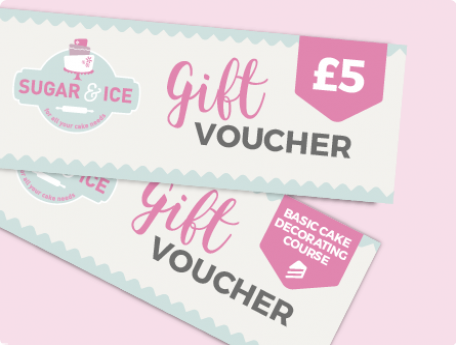 Sugar & Ice gift vouchers are available in multiples of £5, which can be spent in store within a year of purchase, to buy all you need to do is pop in, call or email and we can reserve your vouchers or post them out to you! 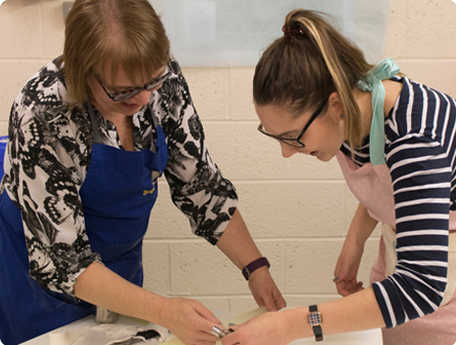 If you’d prefer to send your special someone on a cake decorating course but not sure on their availability, you can now purchase course gift vouchers, these come with no price shown on the voucher and are perfect for Mother’s Day and Birthdays! Sugar & Ice offers three types of private tuition in both of shops, for novices and experts our tutors can tailor the the class. For more information contact our shops with some information on your chosen top or event and some upcoming dates and our trainers will be in contact.